Set the wayback machine to 1998. Parallax View presents reviews of films released 20 years ago, written by our contributors for various papers and websites. Most of these have not been available for years. Except for a final helicopter shot, our last glimpse of Robert Redford in The Horse Whisperer finds the star enjoying a pensive moment of mixed emotions. It’s the kind of wordless, ambiguous grace note that real movie stars are so good at evoking, a look in the eyes that conveys a dozen different feelings tugging at the same brain pan. 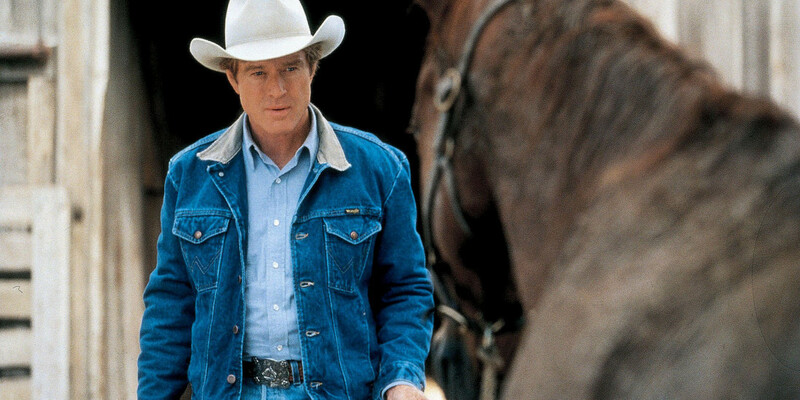 There are other such moments in The Horse Whisperer, but they all belong to Kristin Scott Thomas; Redford, directing himself for the first time, retreats into a mythic Marlboro Man stance until that intriguing climactic shot. For most of his performance, he’s either perched loftily at the edge of a valley or the foot of a mountain peak, and as often as not the sun is catching the still-golden tones in his ageless hair. This approach turns the movie into a handsome still life, bloodless and schematic. It’s particularly odd because so much of the film is given over to an Ordinary People-style psychological excavation, which doesn’t jibe especially well with the old-fashioned stoicism of the traditional cowboy. With the possible exceptions of Scarlet Street and parts of Fury, The Big Heat is the most corrosive of Fritz Lang’s films. Its very title sounds definitive of the darkly, sometimes loathsomely brilliant film noir, a class—if not precisely a genre—of American movie to evolve in the wake of the Second World War or, more accurately, after the tide of war had turned in favor of the Allies: tortured imagings of a then-contemporary America, the high neurotic intensity of which would astound anyone who fancies the movies came of age this side of Stanley Kubrick. The film noir put out inky tendrils in many existent genres, forever altering even the Western (Anthony Mann, perhaps the most gifted director associated with the new vision, the new mode, also began his remarkable series of James Stewart Westerns in this era: Winchester ’73, The Naked Spur, etc. ); and certainly its temperamental affinities to the science-fiction film, a prime manifestation of the McCarthy era, are worth a nod. Basically, though, the film noir flourished in and reflected a contemporary milieu; films noirs tended to have to do with the world of crime, whether overtly (police and FBI stories, private-eye flicks, gangster stories) or by extension—that is, films in which “the world of crime” proved to be inseparable from the world of nightclubs and cabarets, offices and tenements, cars and homes where private citizens might become, by accident or design, guilty souls. The arrival of the film noir coincided with a new penchant, inspired by Italian neorealism, for moving out of the studio on occasion and onto the great rich set of the American city and its suburbs, a readily available set which became, sometimes with only minimal adjustment of light and shadow, fully as “Germanic” as anything constructed at Ufa in the Twenties. Of course many makers of films noirs were authentically Germanic: Robert Siodmak (Phantom Lady, The Killers), Billy Wilder (Double Indemnity, Sunset Blvd. ), Otto Preminger (Laura, Fallen Angel, Where the Sidewalk Ends), not to mention other directors and—just as important—designers and cameramen. But the most Germanic of all, Fritz Lang, clung to the resources of the soundstage. Still, part of the reason why The Big Heat looms large even in the incomparably rich spectrum of cinema that is film noir is its recognizability as a studio re-creation (specifically, mid-Fifties Columbia, as Man Hunt represents early-Forties Fox craftsmanship at its highest). The imagined milieu of The Big Heat may look less freaky than that of that earlier Lang picture of an earlier generation, Dr. Mabuse der Spieler (1922), but its distortions are (therefore?) more subtle, its ultimate force and effect more subversive.